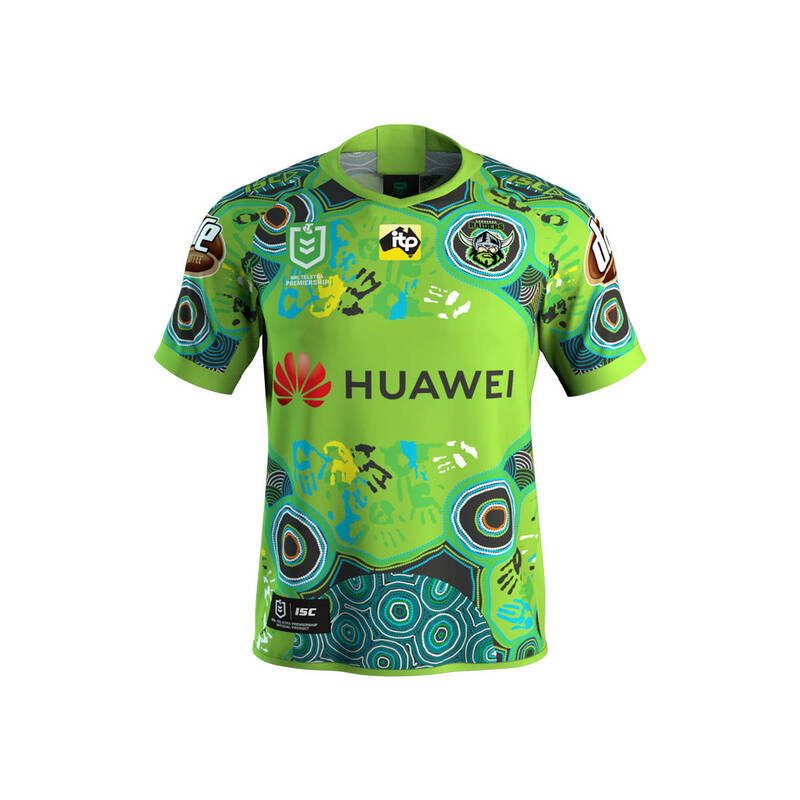 The 2019 Canberra Raiders Indigenous jersey is a celebration of diversity and reconciliation. The artwork uses hand-prints to illustrate cultural diversity within the Ngunnawal region. Various artistic styles are demonstrated throughout the artwork, a result of community collaboration on the canvas. 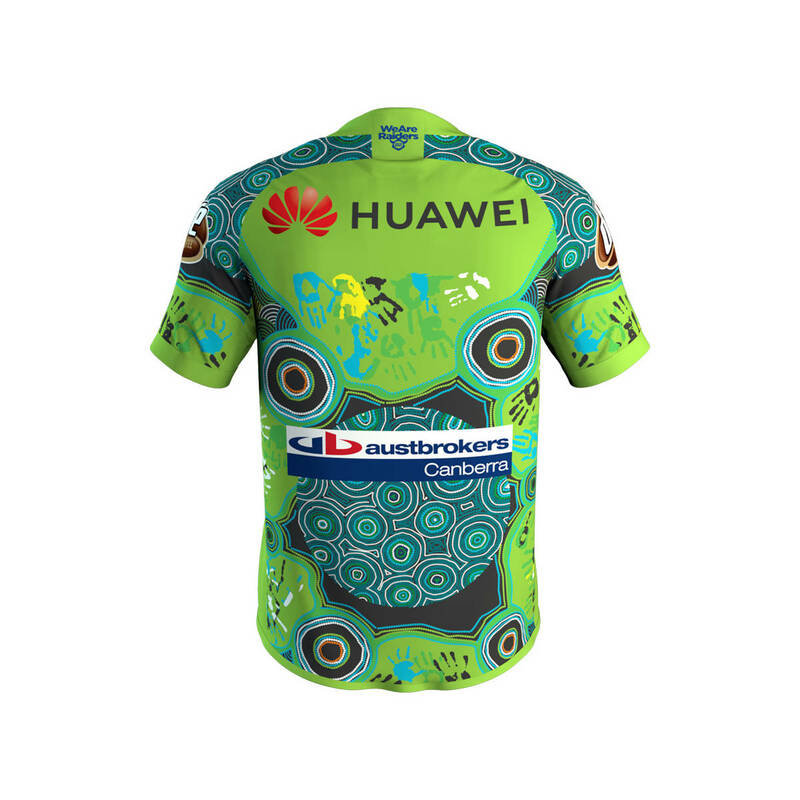 By involving the community and Indigenous students engaged in the NRL School-to-Work program, artist Lynnice created a free flowing and accepting artwork. The path to reconciliation is a collaborative, accepting and an ongoing journey. This work aims to demonstrate how learning, interaction and respect work to create a free-flowing and engaged community.